Women love some affection – and then some more if possible. When you’ve spent some years of your life married to your sweet woman, you might want to express your gratitude, show your love and give her that extra attention whenever there are even more reasons to celebrate. If it’s her birthday, it goes without saying you’ll have to find an original gift to give, but the words to say are also important. 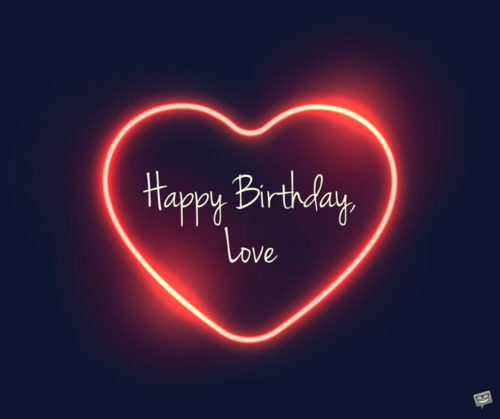 Here are some birthday wishes to inspire you or use as they are for your wife’s birthday – with or without a physical gift. It’s the acknowledgement or attention that she gets from you that will really make her birthday feel right. Every year with you is better than the last. Thank you for that, sweetheart! Happy Birthday! I know you have a lot of things to do, so I’m going to go ahead and take them off your hands and do them for you. 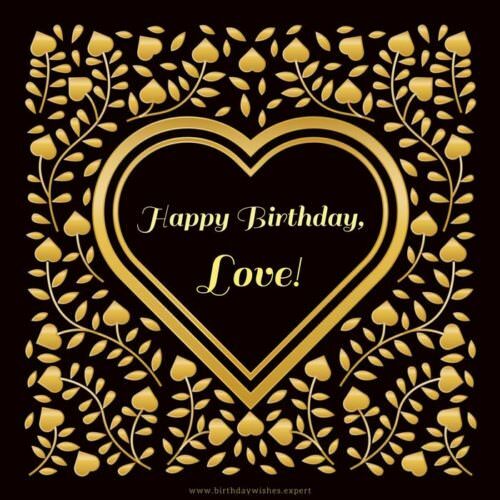 Happy Birthday – I love you! I’ll never forget that sparkle in your eye that made me fall in love with you. Happy Birthday my love! You never lost that sparkle. You are the only reason why I breathe, you are the best thing in my life. I love you so much. Happy birthday! May all your life be filled with loving memories! Happy birthday, sweetie! Let’s spend another year happy and in love. Happy birthday to my lovely, most pretty and the best wife! 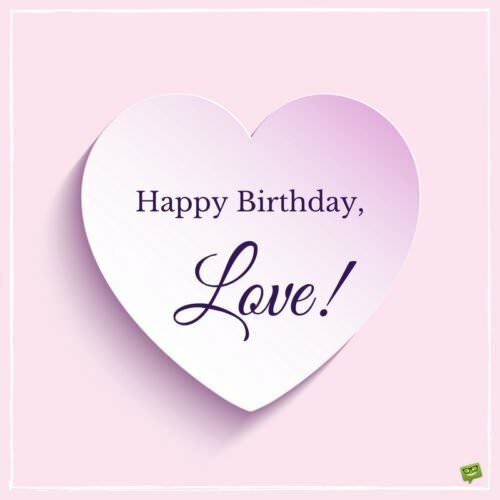 With love and birthday wishes, to wish you a day to remember, especially for you! You give my life a purpose that helps me overcome all the bad moments and all the anxiety. I am so lucky to have a wife like you. Happy birthday, dear! May every wish of yours come true. Happy birthday, sweetie. I love you. 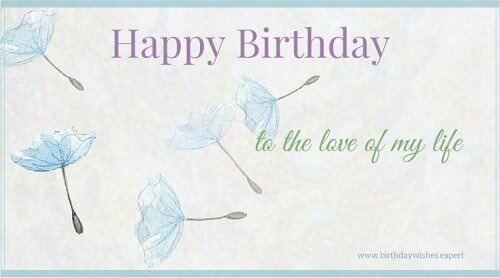 Happy Birthday, and for a truly perfect day because you are so special, I wish you a wonderful day. Here are some Original Birthday Wishes for your Wife. Congratulations honey! You have circled our Sun again and it’s your Birthday! I wish you the best, and a seven course dinner tonight. See you at six o’clock. One of the secrets of a happy life is a slow and steady amount of little treats. Happy Birthday! 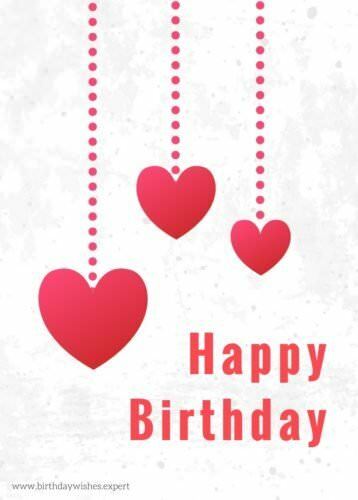 It is another birthday for you, and another year of being together. Thank you for putting up with me and have a very happy birthday darling. Once in a lifetime someone gets to meet someone, but I have been fortunate enough to marry this special someone! 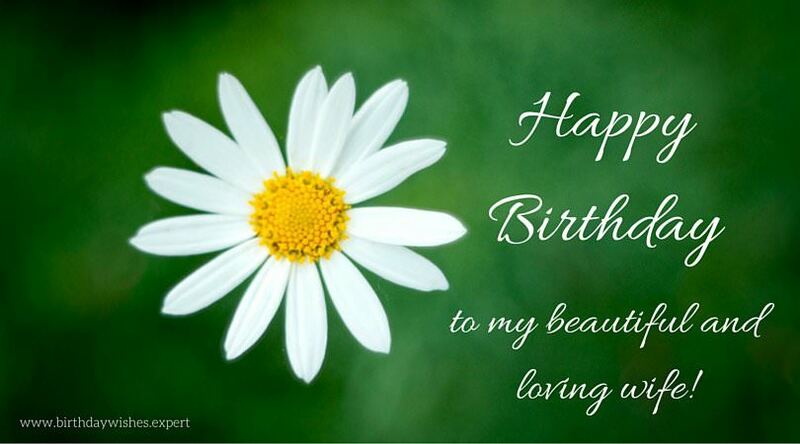 I hope you have a beautiful birthday. Happy birthday dear. The fact of the matter is that nobody does it for you like I do it for you, except for your birthday because with each passing year you look better and better. Happy birthday. Happy birthday to the only woman I know that never ages and always looks so ravishing! I love you so. Happy Birthday. Every now and then someone comes into your life and they turn it upside down -in a good way- and you are that someone for me! 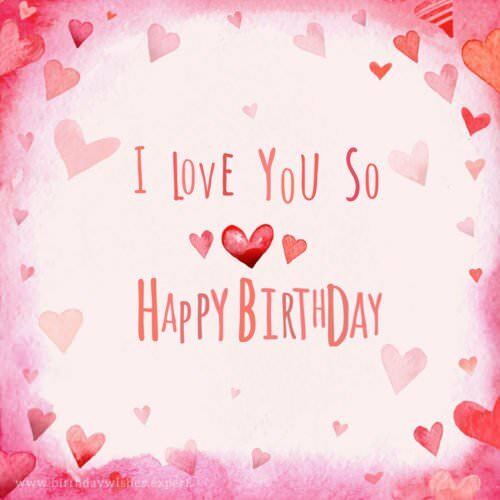 You are my everything and I wish you a very happy birthday. Happy Birthday. I adore you! Without you everything seems so dull and boring. You bring so much excitement to my life. I love you. Happy birthday wifie! To my beautiful wife, may the years forever be in your favor and the days always kind. Happy Birthday! Happy Birthday, my beautiful wife! They say ‘an apple a day keeps the doctor away’ and you, my love, will ALWAYS be the apple of my eye. 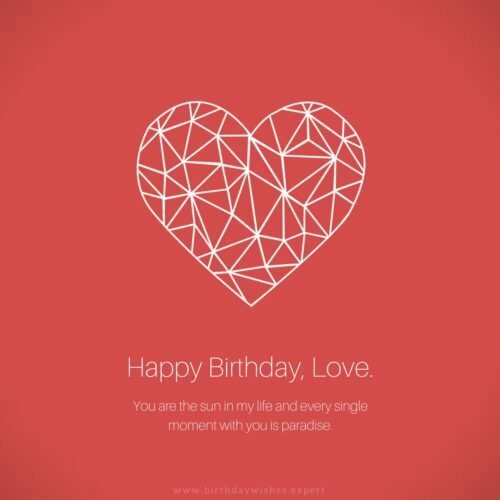 To my love, the universe became brighter and the planet more beautiful when you were brought into this world. Happy Birthday. Having you as my wife does a great job in warming the cockles of my heart. Happy birthday, darling. In my eyes, your life is a gazillion times more precious than the purest gold in the universe. Happy birthday, my sweet angel. 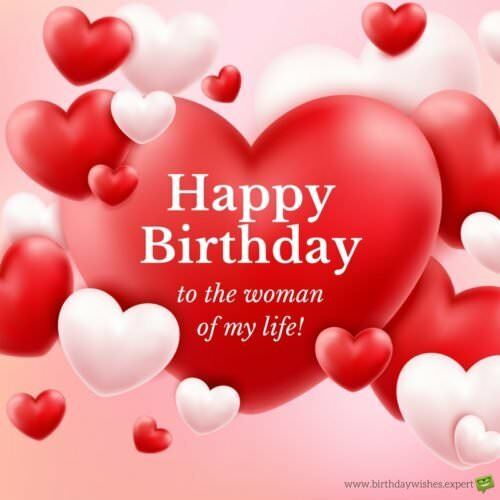 Wishing you, the most wonderful woman in my life, the most wonderful birthday celebration ever. May the sun always smile at you and put happiness in your heart. On this special day, I celebrate my number one source of motivation in life and I thank her very much for her wonderful prayers for me to be a better person in life. Happy birthday, my dearest wife. A truly beautiful birthday to a truly beautiful woman. It’s a truly great privilege to call myself the man in your life. You are not just my beloved wife but my greatest friend ever. Happy birthday, my love. God loves me so much that He blessed me with His most remarkable creation – you, my beloved wife. I will forever show appreciation to God for bringing us together. Happy birthday. I was weak, unhappy and helpless until you came into my life and transformed me into the happiest and strongest man in the world. Happy birthday, my beautiful angel. Baby, nothing makes my day like a smile from you. Happy birthday! I have been through a lot and I want to thank you from the bowels of my heart for constantly being there for me. Your love is and will forever be the bedrock of my happiness. Happy birthday. The way you make me feel whenever you are around me is how being in heaven must feel like. Happy birthday, dear. I hope that every single wish you make today comes true because your happiness is also my happiness. I love you, darling. Happy birthday. Happy Birthday to the only woman I would ever want as my co-pilot. A wrinkled old hag you are not. Hair growing from your nostrils and ears you have not. Smelling of mothballs and musk you do not. Growing old is most becoming to you, my dear. 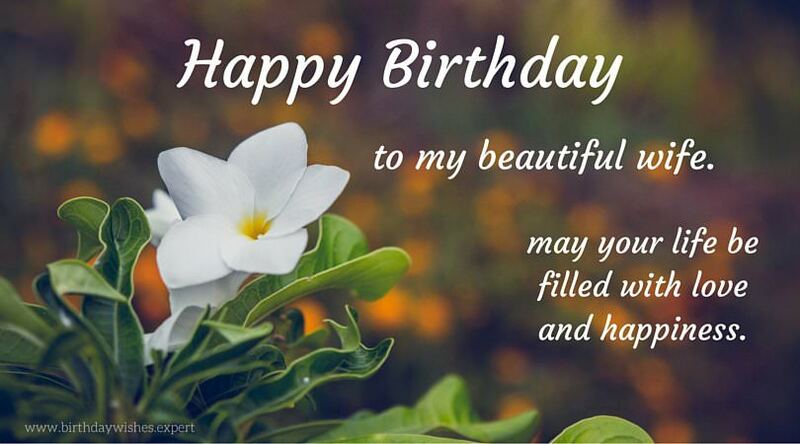 May you have a birthday full of merriment & good cheer surrounded by your family and friends. Happy Birthday, my incredible wife. Happy 5th Anniversary of your 29th Birthday, Sweetheart! Happy Birthday to my household CEO. You are one-in-a-million and I am so thankful you are my wife. Congratulations, my darling wife. You are now considered a classic! Happy Birthday! Sweetheart, according to the credit card statements you really love that trendy vintage clothing store downtown. I thought I could save money by finding you something vintage from another place you frequent often. After I dusted off some cobwebs and washed it a couple times to get the smell of mothballs off–I think this sweater from the back of your closet looks pretty good! Happy Birthday, my beautiful trendsetting wife! Happy Birthday, my beautiful wife. If we had been on the Titanic and only had 1 door between us, I would have made room for you and never let you go. Happy Birthday, my wife! Today we celebrate and you are not allowed to lift a finger. Dinner, laundry and cleaning will be taken care of… put your feet up and enjoy your day! Happy Birthday to the one that still makes my heart skip a beat and my stomach do somersaults when she enters a room. I am so proud and blessed to be able to call you my wife! “What’s in a name? That which we call a wife by any other name would smell like bundt cake.” I may not be Shakespeare and I might not look like Magic Mike but I am your husband and that suits me just right. I love you! Happy Birthday, my sweet! You are so lucky to have me as your husband…but not as lucky as I am to have you as my beautiful, thoughtful, intelligent wife! Happy Birthday, my love! You are the best boss a husband could ever want! Happy Birthday, Sweetheart! Do I have any vacation or sick days left? I love you! 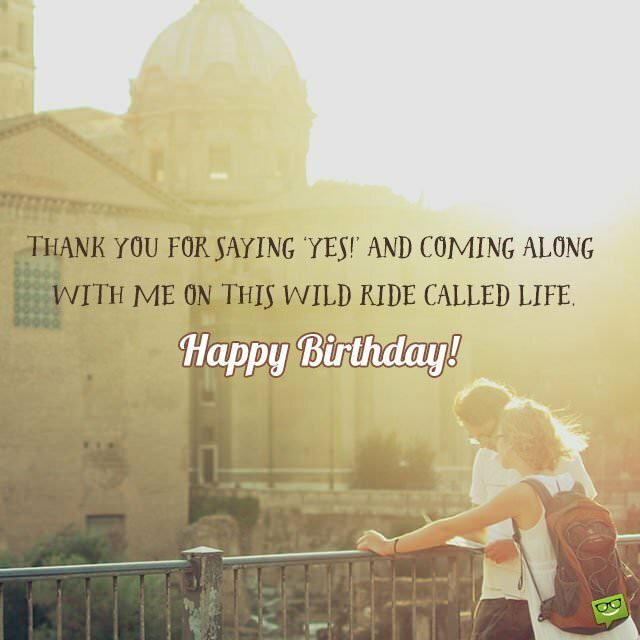 Thank you for saying ‘Yes!’ and coming along with me on this wild ride called life. Happy Birthday! Thank you for saying ‘Yes!’ and coming along with me on this wild ride called life. I wouldn’t want to take it with anyone else but you! I would volunteer as Tribute for you, my darling. May the odds forever be in your favor. Happy Birthday! I wake up every morning and thank the good Lord for Him bringing you into my life. Jerry Maguire said it best ‘you complete me’. Happy Birthday, my beautiful wife. I love you always and forever. Roses are red. Violets are blue. I think my wife is awesome and pretty great in bed too! Happy Birthday, beautiful! Happy Birthday. I love you so! Wife, for your birthday I have decided to give you something you have been wanting and pleading for years for. I hereby swear to no longer take my iPhone into the bathroom. See, my love for you knows no bounds! Tonight you can be the big spoon, sweetheart. Happy Birthday! Happy Birthday, my beautiful wife! How about tonight we go eat at that Chinese vegan restaurant you love, have a Downton Abbey marathon and then after that stroll down to that little coffee shop for the poetry reading—-said no man EVER!! There are only 2 absolutes in this world: Chuck Norris is the biggest badass in Hollywood and my love for you is infinite. Happy Birthday! Happy Birthday to the woman I am deliriously crazy in love with… now and always will be committed to you. If Doc Brown pulled up alongside me in his time machine and asked where & when I wanted to go… the day we 1st met so I could fall in love with you all over again (& then I’d probably ask to go back to the Wild West—who wouldn’t want to rob a bank with Wild Bill Hickok?!). 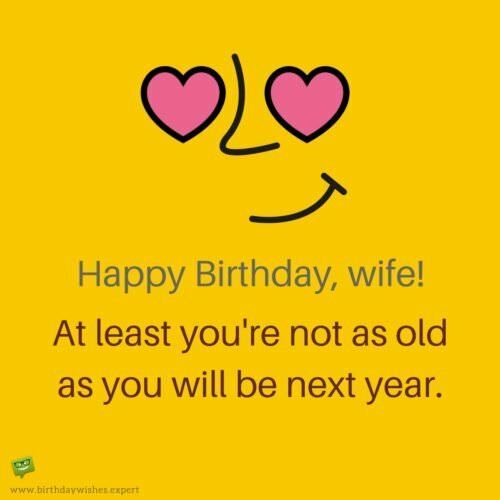 Happy Birthday, wife. Happy Birthday, my love! 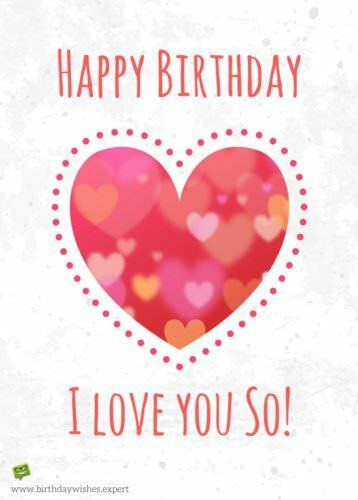 …and just so you know, I knew it was your birthday even before I saw it on Facebook. I wrote on your Facebook wall to make it official. Happy Birthday, my beautiful wife. 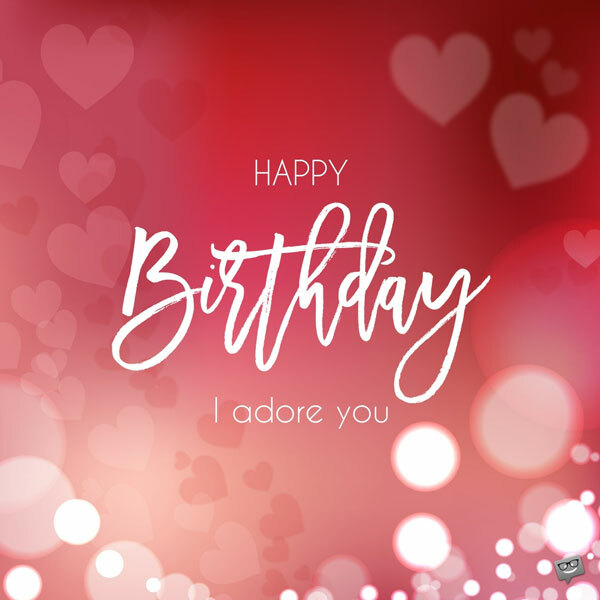 You are another year older, wiser, and even more beautiful… I love everything about you and hope you have the best year yet. I love being able to call you my wife!! Happy Birthday to the wife who has the best husband in the world! You are one marvelous woman!! 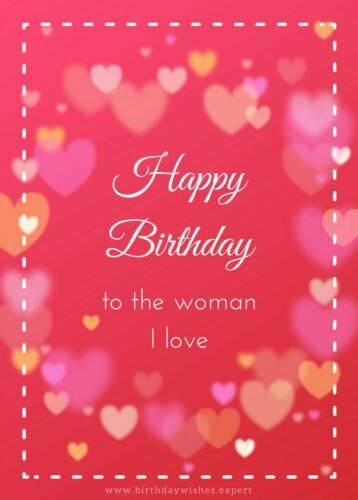 Happy birthday, dear wife! Will you have the goodness to take it easy on aging? 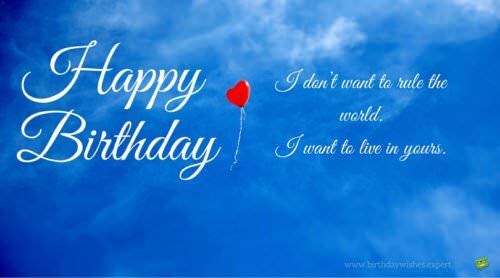 I’ve been around for a while to know that the more birthdays you celebrate, the more wrinkles God blesses you with. 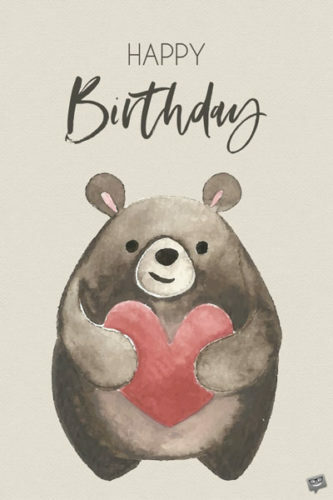 Happy birthday, honey! Happy birthday! May God make you as powerful as the United States! Honey, as I pay my last respect to your youth, I have just realized that preventing you from aging will be a tough nut to crack! Happy birthday, though. Happy birthday, sweetheart! May nothing lower the kilowatts in your smile. Happy birthday, my darling wife. Today is a testament that you are an expert at aging. On your birthday, I pray that God will give you the strength to rule over your enemies like Robert Mugabe! Happy birthday! Dearest wife, I love you more than Hillary Clinton loves the Democratic Party. Happy birthday! Happy birthday! My dear, you keep piling up them years and you’ll soon start giving folks like Keith Richards and Methuselah a run for their money. Happy birthday to my wrinkled yet gorgeously beautiful wife! Too many birthdays may have murdered your youth and wrinkled your skin, but I love you even more. Happy birthday! Honey, now you are really as old as your ancestors! More power to you! Dear wife, you are more precious to me than all the gold reserves piled up in the United States Bullion Depository. Happy birthday! For your birthday, sweetheart, I bought you a walking stick. You’re welcome! Happy birthday! Happy Birthday to my beautiful and loving wife! Happy Birthday to my beautiful wife. 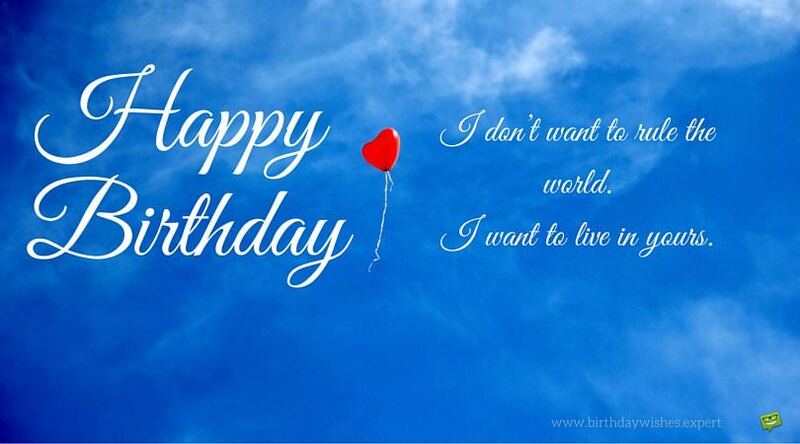 May your life be filled with love and happiness. Happy birthday to a beloved wife whose lips I love kissing more than being alive. I love you so much, baby. It is never an easy thing finding the right words to tell such a gorgeously beautiful wife like you how much you mean to my heart. My love, there’s no desert in this world I wouldn’t walk across to put a smile on your face. Happy birthday. Dearest wife, you are as important to me as my beating heart, for without you, I’d be dead. Happy birthday. I have experienced happiness countless times in my life but the happiness your love brings me is heavenly. Happy birthday. I’ve been with you for so long to confidently conclude that even heaven can’t fill my heart and soul with the happiness you give me. I hope you enjoy your special day as much as I enjoy being your husband. Happy birthday! Some people get happiness from power. Others get it from fortune. And for some others, their happiness lies in fortune, fame and power. For me, I derive absolute bliss by just looking into your eyes. Happy birthday, my angel. I thought my life was God’s greatest gift to me until you came along. I love you so much. Happy birthday. I love God not just because He gave me life but because He brought you to me and made you my beloved wife. My dearest darling, I love you more and more every time I look into your eyes. Happy birthday. The day God dies is the day that I will stop loving you. Happy birthday! 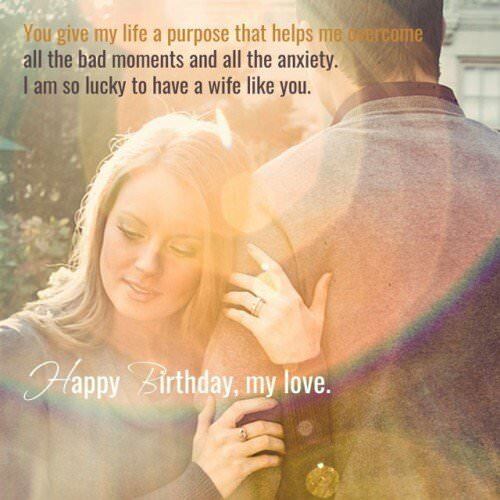 Happy birthday to my phenomenal wife whose love brings me everlasting happiness. Sweetheart, I cherish and worship every moment I get to spend with you. I want this day to be a fabulously special one for you. How fabulously special? You might ask. Just as fabulously special as the friendship and love that we share. Wishing you a blast, dearest wife! Your love freed me from the condemnation of suffering and brought me paradise. With you as my darling wife, everlasting happiness is guaranteed. I will forever glorify your love, babe, for it bring me happiness without end. Happy birthday, dear. It’s an amazing feeling to be your husband. May this Big Day you celebrate be as incredible and beautiful as you are! I love you so much. I’m only happy when you are around because your love is my only comfort in this life. Happy birthday! Your love plays a pivotal role in the happiness in my heart. How I got so lucky to have the most wonderful woman in this world as my wife is something that I spend my every waking moment thinking about. You are such an absolutely phenomenal woman, my darling. Happy birthday. For loading my heart and soul with heavenly bliss, I promise to spend the rest of my life giving you nothing less than all my loving and happiness so that you may also experience the paradise on earth that you bring to me. Happy birthday. The love you give me has true happiness in it. In my eyes, you shall forever be a gift unlike any other. Have yourself the most blissful birthday ever! Nothing has the ability to warm my heart like your love. I love you. I really do. Happy birthday. I don’t want to rule the world. I want to live in yours. Happy Birthday! Wishing a fun-filled birthday celebration to my beloved wife. Honey, nothing makes me happier than waking up every morning and knowing that you are mine and I am yours forever. Happy birthday, my sweet wife and best friend. Please, celebrate this beautiful day, knowing that you are everything to me. I love you. It is a fact that you are several miles away from me today, but it is also a fact that despite being so many miles apart, I still feel you so close to me. Hoping your Big Day is as glorious and perfect as our marriage. We might be thousands of miles away from each other, but I feel the warmth of your love as though you were lying next to me. Happy birthday! Distance means absolutely nothing when the love of your life is your beloved wife. Sweet darling, for as long as birds fly in the sky, I shall love and treasure you. Happy birthday. 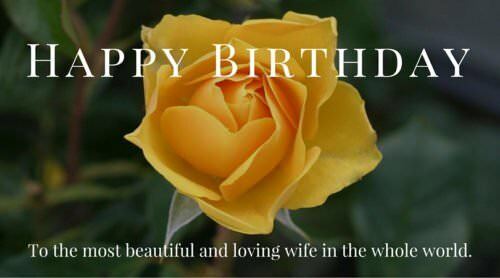 Happy Birthday to the most beautiful and loving wife in the whole world. Happy Birthday to the love of my life; the woman who makes me happy. You give my life a purpose that helps me overcome all the bad moments and all the anxiety. I am so lucky to have a wife like you. Happy birthday, my love! Happy Birthday, love. You are the sun in my life and every moment with you is paradise. your wife has her birthday coming up and you don’t want to forget. Warning: You really do not want to mess this up; do not forget your wife’s birthday or you will be doomed. Our wives may seem that they don’t need or want any gifts for their birthday, don’t take these words to heart, they are lying. Women really do want a gift, even if it means you have to climb the highest mountain to get it. It might not seem real, but deep down she is waiting to see what it is the man in her life will do for her birthday. Gifts don’t need to be extravagant. Many are busy with raising kids so it seems like there is no time or money available to get the right gift. Don’t worry, you will have time later down the road to spoil your spouse with a plethora of gifts. But for now, you still need to make it count even if you are limited on funds. 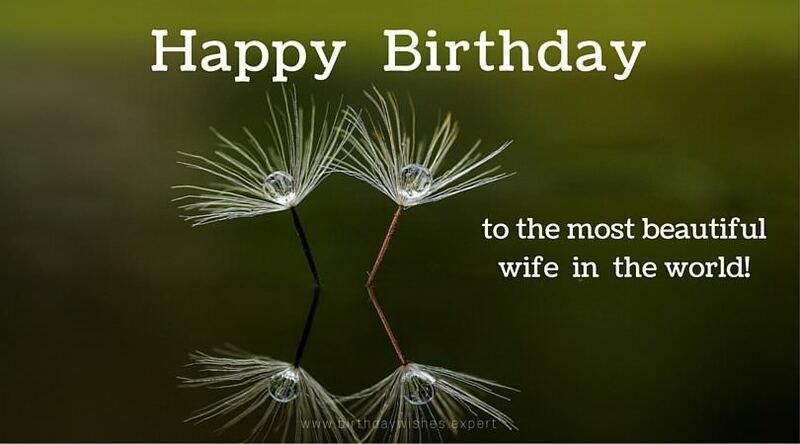 Sharing birthday wishes is a good way to acknowledge your wife’s birthday without the new car or diamond necklace.